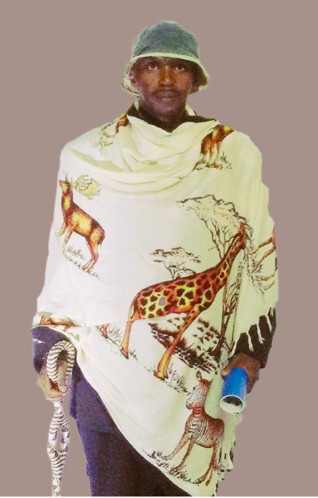 King Ndahura II Imara Kashagama is nephew to the late King Rwigi IV Bwebale Rutakirwa of Busongora, and a descendant of several of Busongora’s past monarchs and notables. 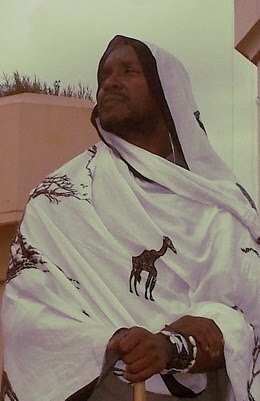 King Ndahura II is a Musongora and is a member of Busongora's Balebeki clan. King Ndahura first acceded to the throne on 29th April 2015, but abdicated on 1 May 2015. He acceded and became king again on 28 November 2015. The official residence of Ndahura II is Ikamiro Palace at Rukooki in Busongora County. King Ndahura II is committed to preserving the beautiful and ennobling ancient traditions of the Basongora, and to securing the integrity of the cultural institution, as well as securing the unity, community rights, and the social and economic growth of all the people in Busongora. The King leads a team of community leaders - serving in the Kingdom’s cabinet and high councils - that aims to bring new energy and responsiveness to the cultural institution. The mission of the kingdom’s leadership is to address the social and cultural challenges, which have distressed Busongora for over 100 years, with a renewed intensity and commitment. The King has committed significant time, resources and energy to community service, beginning with the promotion of community rights of the Basongora and other minorities in past years. Significantly, in 2012 he helped to lead the complicated and conflicted process to restore the ancient kingdom, which had been destroyed, dismembered, and annexed 100 years prior under colonial occupation by the Europeans. The King believes that Busongora Kingdom must embody soberness, maturity, and readiness, in serving the most endangered, marginalized and long-suffering communities in the Rwenzori [Rwenjura] Region. 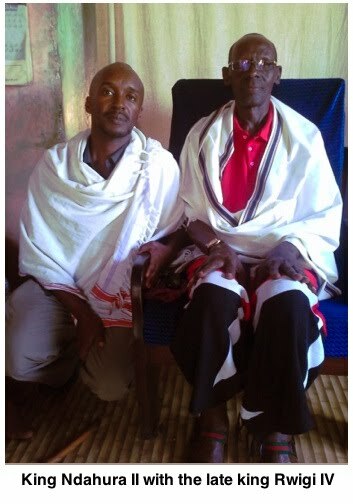 King Ndahura II hopes that a new page in Busongora’s history will be written in peace, and also will be written with gratitude for the sacrifices of all of Busongora’s great leaders, of both the ancient times and the recent past. Starting in 2013 served as Regent or Acting-King whenever the reigning King Rwigi IV was hospitalised. King Rwigi IV appointed Kashagama to serve in his stead whenever the king was outside Busongora, or in event that the king was unable to perform his duties for any reason. At the time of his passing away, King Rwigi had never entrusted anyone else besides Kashagama with this great responsibility. One of the principal persons responsible for the restoration of Busongora Kingdom on Saturday 12 May 2012, and for drawing up the key procedures and protocols required to install monarchs, and to set-up and formalise the operations of the kingdom leadership and staff. Principal Private Secretary, confidant and principal advisor to the late Omukama [King] Rwigi IV Bwebale Rutakirwa of Busongora Kingdom [2012-2015]. Minister for Community Rights & Constitutional Affairs, and a Deputy Prime Minister, and frequently Acting-Prime Minister for Busongora Kingdom [2012-2015]. Represented Busongora Kingdom in various capacities at numerous conferences, including as a member of the Specialized Technical Committee of the National Assembly of Cultural Communities [Uganda] that was responsible for drafting the Cultural Institutions' Statement of Expectations and Aspirations [2015-2021], and also for drafting Uganda's Cultural Institutions Code of Ethical Conduct . Researcher, Scribe and Translator - for the Ministry of Gender, Labour and Social Development of the Republic of Uganda & for UNESCO’s Intangible Cultural Heritage documentation and safeguarding project in Busongora [2013-2015]. Editor-in-Chief and News-Director at TV-Africa; News-Researcher, Reporter and Producer for KTN [Kenya Television Network] and for BCTV [British Columbia Television]; Freelance Journalist working with various media organizations around the world. Environmental Activist and Parliamentary Candidate and executive for the Federal Green Party of Canada [2008-2009], and also for the provincial Green Party of British Columbia [2009-2011]. Speech-writer, confidant and advisor to President John Atta Mills of Ghana, especially on issues concerning Pan Africanism, the African Union, and the African Diaspora, and; together with Lloyd Axworthy [former Canadian Foreign Minister], helped Atta Mills develop the Ford Foundation-sponsored African program at the Liu Centre for Global Studies [University of British Columbia]. Founder of the AUF [African Unification Front] in 1996, which was instrumental in the establishment of the AU [African Union], and which helped promote and develop policies for use by the Pan-African-Parliament and by international agencies concerned about Africa; sponsored and led international protests against Blood Diamonds at the 2nd World Diamond Conference; and led protests in Canada that effectively prevented planned deployment of NATO troops in Sudan. Executive Director, and later CEO, and then Chair of the Board of Directors, of the African Canadian Association of British Columbia [1996-2010], where assignments included organizing access to housing, legal aid, medical services, education, and employment for refugees and marginalized blacks and other minorities; organized the annual memorial in western Canada for victims of the 1994 genocide in Rwanda; and raised funds for international and local community projects. Administrator, Fundraiser, Executive Co-ordinator of the CNIS [Canadian Network for International Surgery], and later Newsletter Editor [1997-2006], where work involved research, inventorying, generating statistical reports, promoting and funding medical reforms for the reduction of injury, trauma and death caused by traffic and poorly designed infrastructure in Africa and other parts of the world. Work at CNIS also included the organising of training for combat soldiers, medical students, and ambulance crews in performing life-saving emergency surgical procedures. CNIS projects involved many African states, as well as Canada. CNIS project-partners in Uganda included the Uganda Police Traffic Department, as well as Makerere University Medical School, and Mulago Hospital. Lecturer & Public Speaker - teaching World History, Electoral Reform, Parliamentary Governance, and other topics, at various universities, including Simon Fraser University, and the University of British Columbia; author of policy papers and key notes used as reference by institutions and governments, including by the AU, UN, NATO, US Congress, Canadian Parliament, the Council on Foreign Relations, the G8 Summit, CIDA, and the governments of Ghana, Uganda, Rwanda, South Africa, etc. Founder and organizer of the annual VAFF [Vancouver African Film Festival] - the month-long festival featured well-made art films by award-winning film-makers, and became a major resource for film directors in Hollywood, and for the Africans and other members of the public in Canada, and also helped to promote African film-makers and issues of concern to Africans. Accredited professional and special-skills Actor; member of UBCP [Union of British Columbia Performers] and ACTRA [Alliance of Canadian Cinema, Television and Radio Artists]; Film star in the “Star Gate” TV series [Last Man Standing], and performed in many US and Canadian film productions alongside such movie stars as Danny Glover, Alfre Woodard, Jet Lee, Aaliyah, DMX, Jessica Alba, Kerry Washington, Pierce Brosnan, Delroy Lindo, Al Pacino, Michelle Rodriguez, Mark Wahlberg, Isaiah Washington, and many others. Artist [painter, sculptor and poet] and internet blogger on Wordpress about miscellaneous subjects. Professional Mountain climber and hiker, camp-craft and outdoors survival instructor [completed wilderness survival and command course - Loitokitok Military Base - OBMS/Kenyan Armed Forces]; climbed Mt. Kilimanjaro and other mountains and wilderness trails, especially in Canada - including “The Lions”, “Golden Ears”, “Black Tusk”, “The Stawamus Chief” [hundreds of times]. Founded the Chess Championship at Victoria College [University of Toronto - Canada]; played against and defeated some of the best ranked chess players in the world.